Career Advice: 10 Awesome Interview Tips! 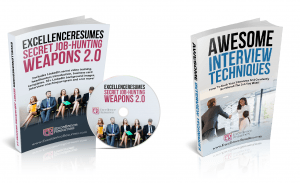 Article will follow after this important notice: ExcellenceResumes has recently released the most efficient interview and job search guides of all times. They will change the way you have been searching for job and handling interviews forever, and come for free with any triple package: Resume + LinkedIn profile + Cover Letter Optimisation. When you finally have in hand an outstanding resume and a persuasive LinkedIn profile and are landing interviews, you must maximize your chance of success in the job interview. This article is focused on the 10 most important tips, even if some of them can seem basic, it’s critical for you to have them in mind when you’re going to an interview. 1. Conduct Research on the Company and on the Hiring Manager. To be successful at a job interview, you must start with a solid foundation. You should know the company, the exact job scope, and the background of the interviewer. Having a look at his LinkedIn profile is a must. The more information you collect, the better you’ll be able to answer questions. The best ways to collect this information are the company’s Website, research tools, your network of contacts and obviously social platforms. 2. Anticipate Common Questions and get your Responses Ready. One of the keys to interview success is preparing your responses. There is no need to memorize responses, but at least develop the main points. It must fit the organization and its culture, striving for the most professional look. keep in mind that it’s always better to be overdressed than underdressed. Keep accessories and jewelry to a minimum. 4. Arrive early for the Interview. There is no excuse for ever arriving late, even if it is only a few minutes. Being at the interview location 15 minutes before the scheduled time is a must. Remember that you might have to complete some paperwork and allow yourself time to get settled. On top of this and if you arrive early, you’ll have a chance to observe the workplace and understand better how the company is organized. Before the interview, prepare extra copies of your resume. If you have samples of your work, bring them along. You might need them. As you get to the offices, shut off your cell phone. 5. Make a Good First Impression. To Everyone. Golden rule: offer warm greetings to everyone you meet — from receptionist to any executive you will encounter. Recruiters are curious how job applicants treat staff members, and your opportunity to join a company could easily be impacted if you do not behave properly to any of the staff. Make a great first impression when greeting your interviewer: stand, smile and offer a confident handshake. Studies show that recruiters make critical decisions about job applicants in the first 15 minutes of the interview! 6. Be Focused, Confident, and Concise. Once the job interview starts, the key to success is the quality and delivery of the responses you’ll deliver. must always strive for authenticity and respond with conviction. Provide solid examples of accomplishments and keep your responses short and to the point. By preparing interview questions, you’ll certainly avoid long and rambling responses that annoy interviewers. No matter how much an interviewer might bait you, never talk negatively about a previous employer or colleague. 7. Control Your Body Language. While the content of your responses is critical, poor body language can be a reason not to hire you. Smiling, eye contact, solid posture, active listening, are positive forms of body language. It has been shown that employers judge an applicant’s interest in the job by whether or not the interviewee asks questions. The most qualified applicant is not necessarily the one who is hired. Sometimes the job is given to the applicant who is the best at responding to interview questions and showcasing his or her fit with the job, department, and organization. Some compare the job interview to a sale. You are the salesperson — and the product you are selling to the employer is your ability to fill the organization’s needs and solve its problems. Finally, as the interview comes to its end, ask about the next step of the process and the timetable the employer expects to use to make a decision. If you are applying for a sales job — or a position requiring equivalent aggressiveness — consider asking for the job at the end of the interview. That might make a difference! You’ve already seen from our previous posts, courtesy can go far in interviewing. The importance of thanking each person who interviews you should is necessary. While at the interview, thank each person who interviewed you. Writing thank-you emails and notes shortly after the interview will certainly give you an edge over any of the other finalists who did not bother to send thank-you’s, so go ahead! Here is an article about the thank you letter: CLICK HERE. Succeeding in job interviews takes a lot of research, practice, and persistence. The more effort you put into the preparation, the more success you’ll see in getting offers especially if you follow these 10 job interview tips. Ready to indulge yourself with a persuasive resume? Click HERE if you have less than 5 years of work experience. Click HERE if you have between 5 and 10 years of work experience. Click HERE if you have more than 10 years of work experience. 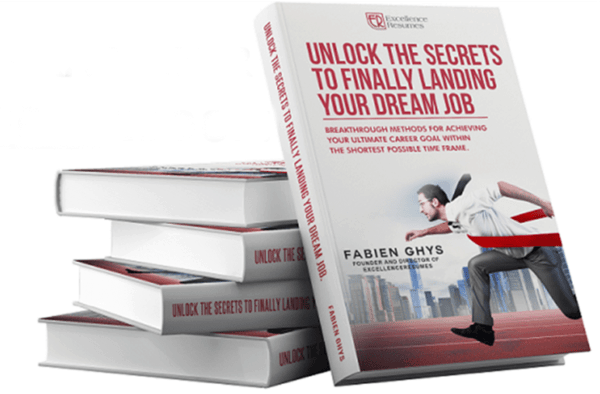 Download our free eBook “Unlock the secret to landing your dream job"
Hiring a professional resume writer: what is the potential return on investment? How To Let Recruiters Know You’re Open To Opportunities – Without Telling Your Boss! ExcellenceResumes » Resume and job search tips » Career Advice: 10 Awesome Interview Tips! Hold on! Enter your email below and learn how to HACK the Applicant Tracking Systems (ATS)! >> ATS are new softwares that most companies are now using to screen out resumes. We know how to BEAT them to help you get your resume shortlisted! LAND A NEW JOB NOW! 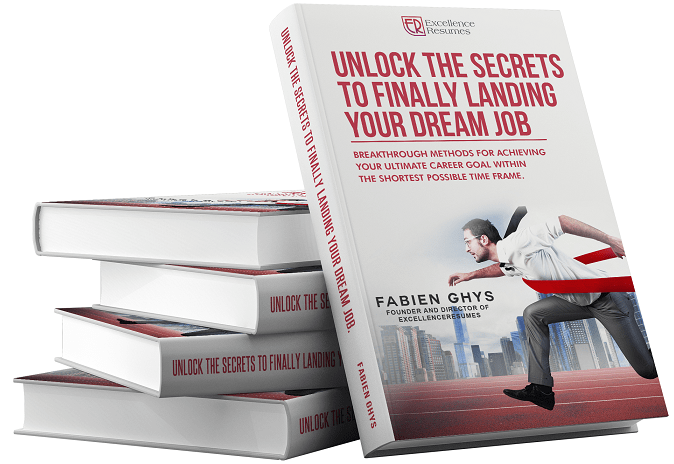 CHECK YOUR INBOX WITHIN THE NEXT 3 HOURS AND GRAB YOUR EBOOK! Note: if you don’t see our e-mail, check your spam folder. Sometimes spam robots make mistakes and put our e-mails in there. Add us to your contacts list!